Drag queens, Matt Bomer singing, a sentient genderqueer street, this show has it all - and no this isn't a listing from SNL's Stefon. In all seriousness, "Danny" is a non-binary, living street that moves all over the country at will. Danny is able to communicate through any means it wants to pretty much. Street signs, smoke, leaves, are all on the table and the people who live on Danny Street call themselves Dannyzens. Danny Street is a safe place for anyone considered abnormal by an evil organization known as the Bureau of Normalcy or by society in general. The Bureau is important to note because Larry wound up in their clutches at one point, he was brutally tortured due to the spirit inside of him as the organization didn't understand exactly he was or had morphed into. Of course, the broader theme of this episode is the fact all of these characters have been robbed of any semblance of a normal life. Despite how hard they might try to find peace, they can't escape the darkness thrust upon them. The leader of the Dannyzens, Darren Jones, was a former officer for the Bureau before he realized what life on Danny Street could offer him. Now he's a singing, glamorous drag queen named Maura Lee Korupt at Peeping Tom's Perpetual Cabaret, the beating heart of Danny Street. 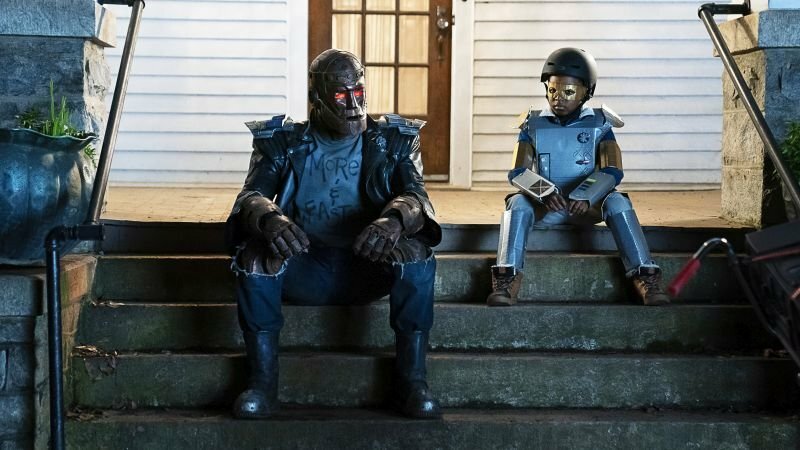 This is where Cyborg and Larry meet him and begin to understand what exactly Danny Street is. Danny is trying to escape the Bureau as they're catching onto the streets trail, desperate to destroy the place. 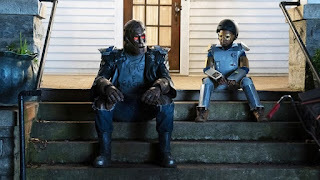 A cake arrives at the manor asking for Niles's help, and thus this is how Larry and Cyborg come to wind up on Danny Street. At one point, we even get to see Matt Bomer sing in all his glory and I'm eternally grateful the show found a way to make that happen, even if the scene in question winds up being a heartbreaking reminder that Larry can't have a normal life until he learns to forgive himself. It's painful to watch him continue to torture himself week after week. Eventually the Bureau does track down Danny Street, but they get mobbed by the brave Dannyzens who refuse to allow these guys to destroy them. It's a moment of catharsis for the street inhabitants, and I think for Vic and Larry too. Outside of Danny Street, another one of Jane's alters has manifested. This one is a crazy '90s romcom obsessed bottle blonde who is determined to have own "normal" life with her ex-lover Doug. Karen is super manipulative and has the ability to put people under a love spell instantly, not unlike Doctor Harrison's abilities. None of the other alters like her and neither does Rita. 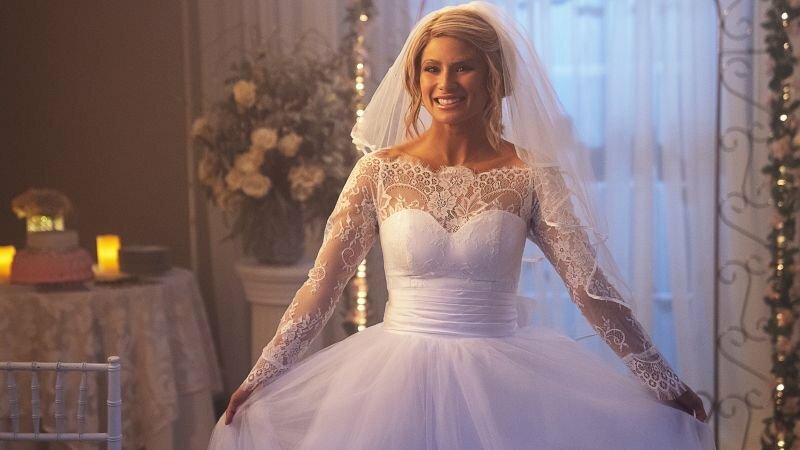 Hammerhead pops out a few times (a reminder of how incredible Diane Guerrero is doing in this role that she can effortlessly swap between two drastically different alters in mere seconds) to ask Rita and Cliff to help and not allow her to marry Doug which is Karen's intention. She's determined to get her perfect Hollywood happily ever after at any cost. Ultimately, she doesn't make it down the aisle, but when Karen is jerked away we get out first real glimpse at the "subway" within Jane. It appears to have short-circuited her or something since the last we see of Jane she looks more like a rag doll than a real person. Karen falls into an abyss and is ripped away from her hold by an unseen force down the subway tracks. 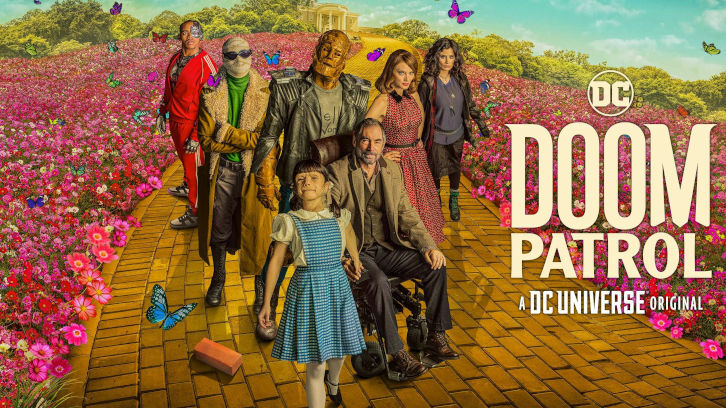 New episodes of Doom Patrol are available to stream on DC Universe every Friday.